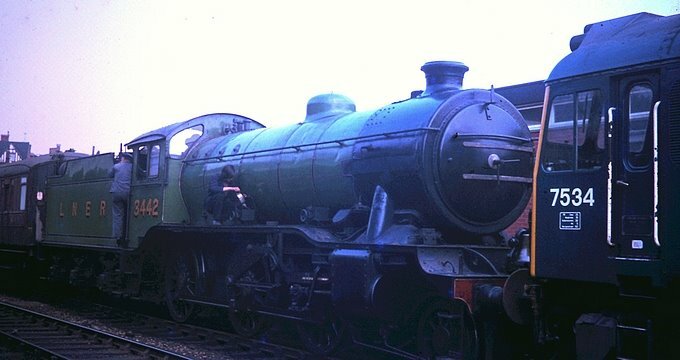 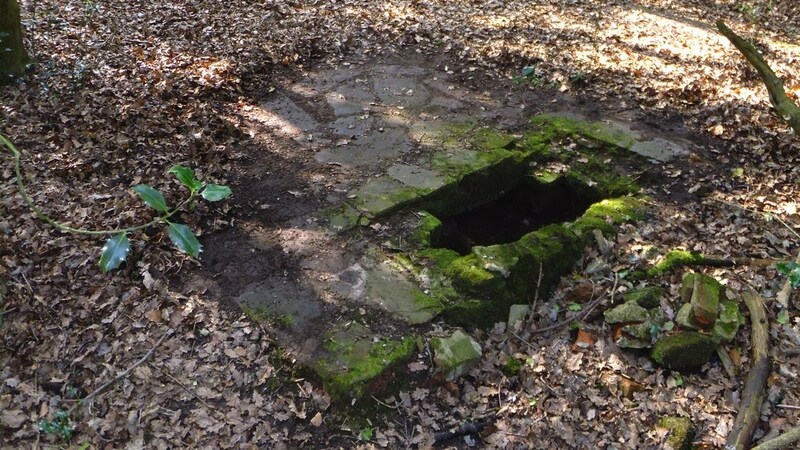 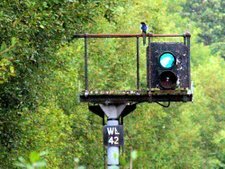 It is not generally known that there are three water wells within Sutton Park, two of which date back to medieval times, and that all three survive fairly intact. 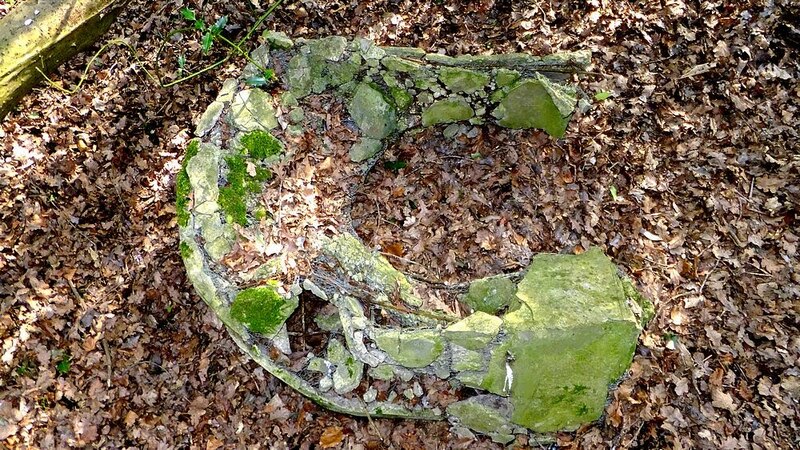 The most dilapidated is Druids Well, located in muddy woodland near Bracebridge Pool, which has remained overgrown and forgotten for many years now. 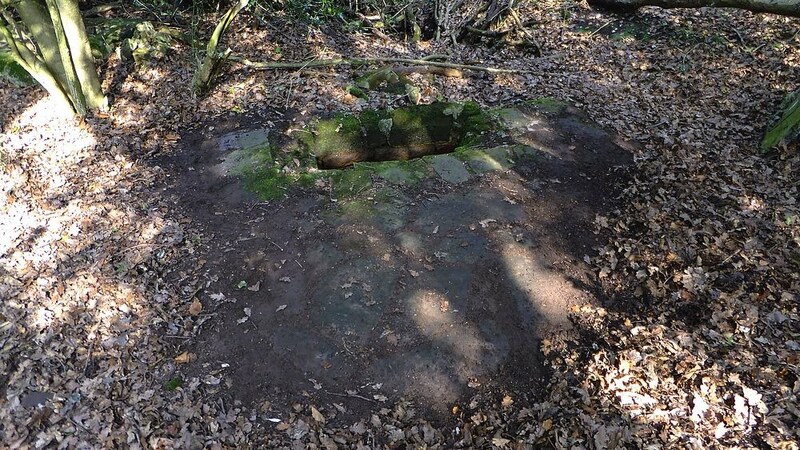 Although this well is only about 200 years old it is said to have been sited on an old freshwater spring. After locating the grave-sized rectangular well today I had to cut back brambles and shrubs, and remove earth and leaves to expose the stone paving. 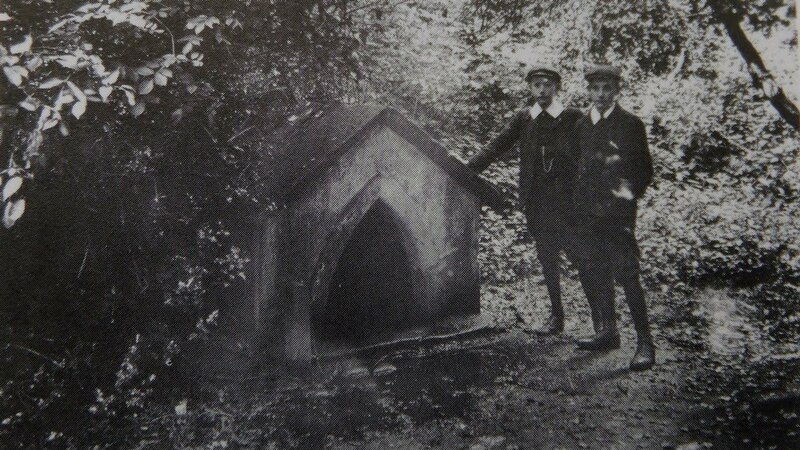 As can be seen in the 100-year old photograph the well had a dog kennel-like housing protecting the water, this shelter is now discarded nearby (it is made of a concrete-like material with internal wire mesh, and is very heavy). 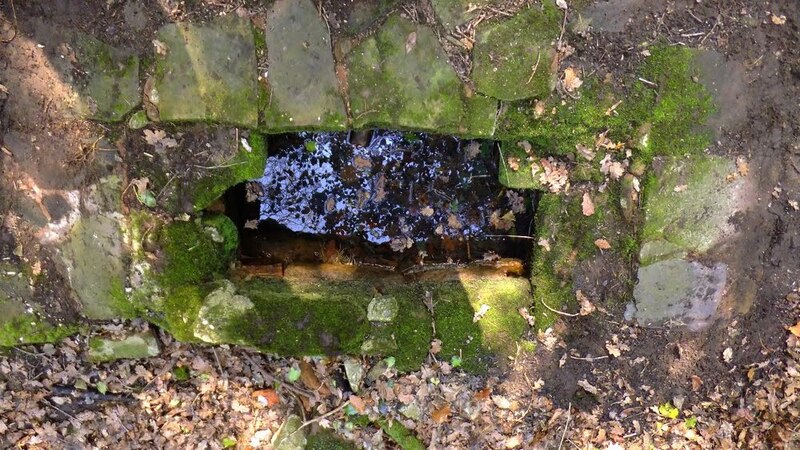 The well still draws water from the ground, but the water is tainted by rotting leaves, silt and moss etc.